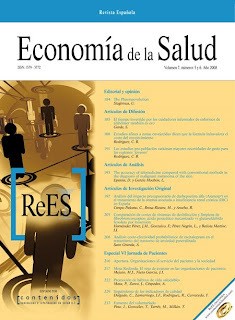 the latest edition of the Spanish journal for health economics is out. The journal is enjoying increasing readership within the Spanish speaking community although there are also publications in English. I contributed en editorial "The Pharmaevolution" speculating a little on the latest developments - consolidation is increasing again and new business and organizational models are being tested and deployed. Would be interesting to hear your thoughts on the sectors' evolution...?